Copyright & Revisions: Revised, reformatted and updated in 2012. Original copyright © 2006. Photo credits: all color photos by Ron Watters. The two black and white photos are by Robert Winslow. For many years, I used the common adventure concept to organize and facilitate outdoor trips while working for the Idaho State University Outdoor Program. I continue to use it whenever I get together with friends for river, climbing or ski trips. Over the years, I've found it to be a powerful concept and a wonderful way in which people can run trips. What is a common adventure trip? Very simply, it is a couple of friends, sharing expenses and going on a trip together. That's it: straightforward and easily done. It becomes a bit more involved, of course, when organized groups run common adventure trips. Someone needs to initiate and begin the process of organizing the trip. Since common adventure is essentially a democratic form of trip leadership, the group needs to get together and participants become involved in the trip. Decisions need to be made. Responsibilities need to be divvied up and expenses shared. How is this all done? Unfortunately there's not much literature on the topic and few clubs or schools use it. That's what this paper is about: to help shed some light on the topic and provide nuts and bolts information how to run common adventurer trips from an organizational standpoint. There is more than just nuts and bolts involved with common adventure. It's also something of a philosophy, an approach to the outdoors that's worth supporting and nurturing. We need, of course, commercialized outdoor experiences. We need guided trips organized and run by competent professionals. But we also need the alternative: purely non-commercial trips. Common adventure is the way that organized groups can do that. It's a way to returning to the roots of outdoor activity and enjoying outdoor activity purely for the fun of it. That's what common adventure trips are all about -- and more. 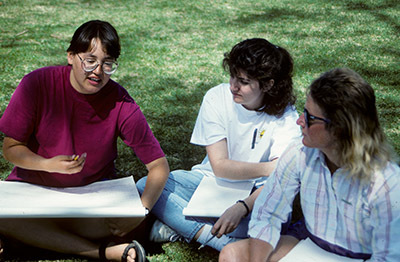 Common adventure is one of the basic approaches to outdoor education programming. For information on other approaches and how they relate to common adventure, see Outdoor Programming Models. Common adventure can help minimize liability. The paper, Minimizing the Liability Exposure of Outdoor Programs, includes a discussion on common adventure trips in relation to liability. An important part of common adventure trips is the pre-trip meeting. Information on what should be covered is found in the Quick Guide to Pre-Trip Meetings. 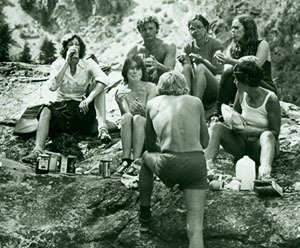 On a common adventure trip, everyone is expected to share in the responsibilities of the trip. The trip initiator (the person who posted the sign-up sheet) gets the ball rolling. The rest of the group is expected to help plan, organize, cook, wash, load and unload vehicles, buy food, clean up equipment afterwards, etc. The success or failure of a common adventure trip rests not in the hands of the trip initiator, or the club or institution which might offer such trips, but rather in the hands of everyone that participates in the trip. .Comparing Common Adventure Trips With "Ride Boards"
Common adventure trips are similar in many ways to "Ride Boards." Ride Boards are common on college campuses. The "Ride Board" enables drivers and riders who are going to the same destination to get together. Drivers are able to find someone to share gas expenses and help with the driving and, at the same time, riders are able to find a way of reaching their desired destination. Common adventure sign-up sheets, in turn, provide a means of getting people together to participate in an outdoor trip that might not have been possible if they had tried to do it alone. Any person is welcome to post a common adventure event on a trip board or a club's Internet site and anyone who has sufficient experience required for the particular trip is welcome to sign up. The Internet equivalent of a trip board is an outdoor "partner" forum. For example, in a climbing partner forum, you can indicate that you will be travelling to a certain area and are looking for climbing partner. 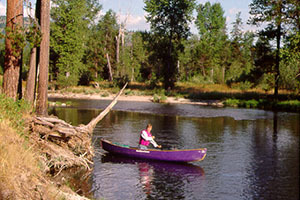 Or, on a river partner forum, you may announced that you have received a river permit and you need some additional people to fill out the trip. Just what is a Common Adventure trip? In its purist form, a common adventure trip is a couple of friends getting together and going on a trip. It might be two or three friends going climbing or hiking together. Or it might be a couple of families combining to go rafting together. No one is charging money or acting as a "guide." It's just a fun trip among friends. If you like doing things in the outdoors, you probably do these sorts of trips all the time. It's just that you've have never given them a name. What is the definition of a Common Adventure trip? A common adventure trip is two or more individuals working cooperatively for common goals and sharing trip expenses and responsibilities as equitably as possible. The cost of the trip (gas, food, rental of equipment) is shared among members of the group. There are no guide fees. No group money goes to pay any one person among the group. Nor are group funds used to generate income for a club or sponsoring institution. In the interest of fairness, however, some of the group money may be used to reimburse the sponsoring organization for any expenses incurred in getting the trip off the ground. Common adventure groups strive for fairness, free and open discussion, and an equitable sharing of costs and responsibilities. Give me a detailed description of how a club or college might organize Common Adventure trips--and how do they take place? Posting of Trip. The person that develops a trip idea will either place a notice on the club's calendar or newsletter--or it may be posted informally on a bulletin board or the club or program's Internet site. Trip Boards. 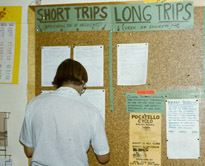 College outdoor programs that run common adventure trips often have trip boards where anybody can post trip sheets. The trip board works like a ride board found on many college campuses. Ride boards serve as a means for drivers and riders to hook up together: drivers looking for passengers to help share gas expenses, or riders looking for rides. A trip board serves the same function except that it gets people together on outdoor trips. An Internet forum can serve the same purpose. Trip Initiator. The person who posts the event is known in common adventure vernacular as the "trip initiator." The term "trip leader" isn't used since it can imply someone who is taking full responsibility for the organization and safe conduct of the trip. On a common adventurer trip, all members have responsibilities and everyone is involved in making the trip safe. (More about trip leadership and safety below.) Even though the trip initiator gets the trip off the ground, he or she will still contribute their share of the trip expenses. Sign-ups. Once the trip is posted, people who are interested in the trip can sign-up. Pre-trip Meeting. The next step in the process is the pre-trip meeting. 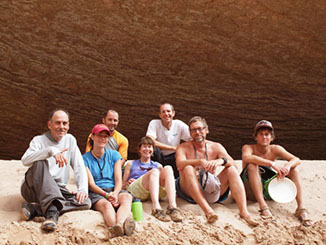 The pre-trip meeting is a key part of organizing a common adventure trip. Up to this point, the trip has been the trip initiator's idea. At the pre-trip meeting, it becomes a cooperative group project. Everyone who is interested gathers together and all aspects of the trip are discussed. (For more information on what to cover at pre-trip meetings, see Short Guide to Pre-trip Meetings). Decision Making at the Pre-trip Meeting. 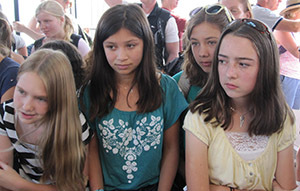 Since the trip is now in the group's hands, decisions about the trip are made as a group. 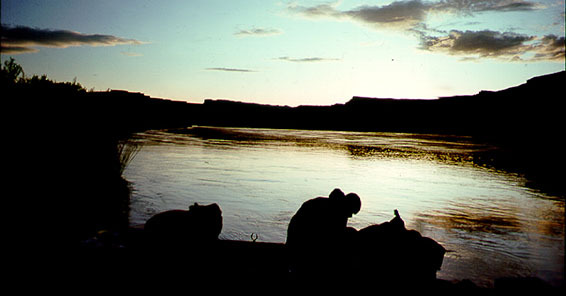 The group may decide to make some changes in the trip: where they go and what they plan to do. It's the group that decides the exact time and place from which to leave. 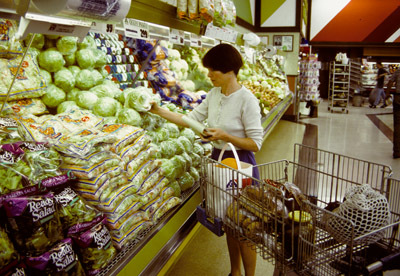 The group may make other decisions, such as whether individuals should bring their own food or whether food will be bought as a group, or what vehicles and how many are needed for the trip, etc. Pre-trip Meeting: Liability. We live in a litigious society. Anybody can be sued. It doesn't matter whether it's a common adventure trip or a guided trip. A pre-trip meeting, however, can help lessen liability, but even more important, it can help make a trip much safer. The meeting gives everyone a chance to find out exactly what the trip is all about. Some individuals may decide that after learning the details, the trip is not what they want to do and they can drop out. For those who decide to go on the trip, the meeting gives them a chance to be properly prepared and to learn what clothing and equipment they need. This is also the best time to have people sign a liability and assumption of risk form. If for some reason a law suit results, a signed liability form does help. Pre-trip Meeting: Money. If equipment has to be rented or group food purchased, the pre-trip meeting is the best time to collect money. Often times, it is not the trip initiator that collects the money. In fact, to spread out responsibilities, it's best that someone else in the group serves as a group treasurer. This helps underline to members of the group that the trip is a group project and not just one person (or leader) putting it all together. Trip Leadership. In the past, many people in outdoor education circles have thought of common adventure trips as having no leaders. It is possible to have leaderless trips in very small groups with individuals of equal ability, but when it comes to organized trips, leaders on common adventure trips are very much present. In almost all cases, it’s the person that puts the trip together (the trip initiator), and that individual will probably continue in the leadership role throughout the trip. It is the way in which leadership is structured on common adventure trips which distinguishes it from other models. Decisions are not made autocratically by the leader but rather democratically by consensus. And leadership does not have to remain static. It can be dynamic, moving from one person to another depending on the circumstances. Members of the party that have more experience in certain areas (like an EMT) may move into a position of leadership during an emergency. Most often it is the trip initiator that guides the democratic process. In this process, everyone is able to express their opinions and shed light on the decision. By involving everyone, the group is able to tap all of it’s resources, making it far stronger than if one person tries to make all of the decisions. Trip Safety. Because everyone's opinion is important and because everyone is working for the common good of the group, trips are safer. 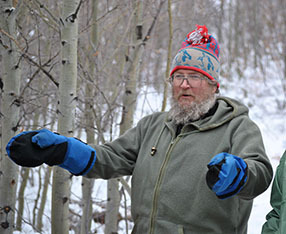 Among their responsibilities, members of common adventure groups keep an eye out for one other. Because of the open, democratic environment, they are less apt to hold back when they see potential problems. This participatory form of safety is highly effective, certainly more effective than if only person is in charge of keeping track of the group. Learning on the Trip. Common adventure trips create an ideal environment for experiential learning. There are, of course, no designated teachers, but those on the trip with more experience can share their knowledge and skills with others with less experience. Follow-up. The group continues to be involved with the trip even when it's over. Equipment may need to be unloaded and that duty shouldn't have to fall solely on the trip initiator. If a group has a pot of money which has been used to pay for gas or food, the group's treasurer will need to sit down and figure out what's been spent and refund any left over funds to all members. Is there a size-limit to Common Adventure groups? Yes. common adventure trips are best run in small groups. It becomes much more difficult to guide democratic processes as the group size becomes larger. Six to eight is an ideal size for a group, but it can be larger. Smaller groups are highly effective. Individuals feel more a part of the group and are more likely to receive long-lasting, positive benefits and develop strong friendships from the trip. Moreover, small groups are one of the best ways of minimizing environmental impact. It is possible to use an adapted form of the common adventure concept with large groups. All of the basics of a common adventure trip are there: having a pre-trip meeting, enlisting members of the group in helping pack and clean-up, and appointing a treasurer. But trying to make decisions in a large group is cumbersome, and thus a representative form of democracy is best employed. 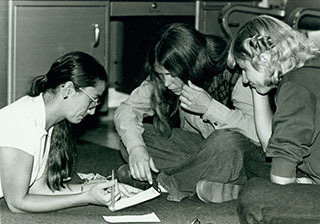 Decisions are made with the help of several members of the group. It isn't a formal process. The group doesn't elect representatives, but rather it's an informal meeting with several individuals, usually the more experienced members of the group reaching a consensus. Often, however, with large groups, it's more efficient to use other forms of trip organization. I'm interested in this money thing. Do you really mean that clubs or colleges don't make money from Common Adventure trips? That's right. If a club or school uses a trip to make money, then it is no longer a common adventure trip. However, a club or school can be reimbursed if there are legitimate trip expenses. An fair and equitable sharing of expenses is a tenant in common adventure trips and if the sponsoring organization has incurred some expenses, then it's certainly permissible that those expenses be reimbursed. If your organization must make money off of trips, then offer guided trips. But remember as soon as you start charging for trips, you are becoming a commercial outfitter and you need to have the necessary licenses and permits. (These sorts of trip are usually done best by contracting with an established commercial guide.) The beauty of common adventurism is that if your trips are small and cost sharing is taking place, then your trip is just like any trip among friends and family and no commercial licenses or special permits are needed. Well if you don't get money, how can clubs and organizations run a Common Adventure trip program? Clubs are largely made-up of volunteers and have dues which sustain the organization. Larger organizations may have a base budget from which to work. In either case, a common adventure program can be offered. All in all, it doesn't take much. Common adventure trips can be run by clubs, church groups and informal groups of friends without having an office, staff or any kind of budget. It is the simplest and most cost effective way of running trips possible. At the same time, an organization isn't limited to only offering common adventure trip. They may have a mix of common adventure trips, educational offerings and guided experiences. If you do offer a mix, it's important to make clear the differences between them and make sure participants are fully aware of those differences. A person who has been going on commercially guided river trips, and then who signs up for a common adventure trip is in for a surprise if they don't understand the difference. In the guided trip, they just show up and let the guides handle everything. On common adventure trip, however, they have to roll up their sleeves and do the work: they plan meals and buy food, they pick up rental boats at the rental shop, they help load and unload boats, they help cook, and, yep, they even set-up and take down the portable toilet. Isn't there some hidden expenses? What if drive my car or I use my rafts for trip? Can't I be reimbursed somehow for wear and tear on them? The spirit of sharing is a central concept to common adventure trips: freely sharing help and advice and, yes, even equipment. But while sharing is important on common adventure trips, so is the concept of equability. In cases where one person's vehicle carries all the group's gear, or one person's raft is used by the group, there's an equability problem. Vehicles and boats used on trips will receive wear and tear. Those individuals donating their vehicles or equipment are shouldering more than their share. Thus, the group may decide that the fair thing to do is to reduce their share of expenses to compensate for the pick-up truck or raft. The overall goal is to come up with something which is a fair and equitable sharing of expenses. The decision, however, should be made as a group, and it's best made before the trip takes place at the pre-trip meeting. Note that you'll want to be very careful if a group makes an outright payment to someone on the trip to use their personal vehicle or boat. That's beginning to step into the territory of a guided trip. Public land agencies might construe any payment to an individual, even for the use of equipment, as improper and requiring of special permits. Generally, it's best to reduce someone's share of trip expenses rather than make an outright payment to them. 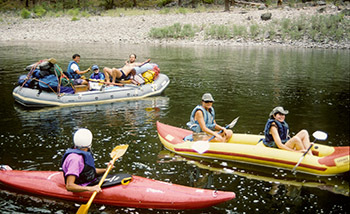 In some cases, the group may elect to rent a raft or vehicle from a disinterested third party to avoid the problem altogether. Can organizations subsidize a common adventure program? Yes. I'll use Idaho State as an example, but there are other organizations that subsidize some form of common adventure programming. In the case of Idaho State, we feel strongly enough about the benefits of a common adventure program that it is worth it to us to subsidize it. We provide a location for groups to meet and a resource center with lots of information that can be used for planning trips. We also pay staff to initiate many of the trips. While we encourage and have a number of students and community members putting up sign-up sheets, we've found that we have a more viable and full-rounded trip program when staff members are fully involved. Common adventure trips, of course, don't need paid staff, nor do they need a college or institution to oversee them. But clubs and colleges provide a nurturing environment. They help spread the good word and help people understand and learn the basics of how this wonderfully effective concept works. At the same time, subsidizing a common adventure program doesn't effect its legal status. We are careful, however, to retain the essential elements of Common Adventure trips. Trip expenses are shared equitably. No trip money ever goes to pay the trip initiator or any other member of the group. Staff members also do not receive pay if it is unacceptable to the agency managing the land where the activity is to take place. If a staff member wants to run a trip to such an area, they run the trip on their own time as a volunteer. Often they do. People who work in the outdoor recreation field are those that regularly and freely volunteer their time. Rarely are they in it for the money, but rather they are caring individuals who truly love working with groups in the outdoors. You've been talking like common adventure trips are the only way to go. Aren't there other ways of doing outdoor trips? Sure there are. Common adventure trips are only one possible approach to outdoor trips. For many people, common adventure trips are impractical. For instance, people who have no experience and would rather someone else do all the planning and have everything set-up will be much happier going on a commercially guided trip. Another valid approach to outdoor recreation is to offer formal outdoor education classes. While experiential learning takes place on common adventure trips, most people will have better luck learning basic skills in classes and workshops taught by experienced and trained teachers. If you want to try whitewater kayaking, you'll have less trouble on the river if you take some time to learn how to roll first. That's best done in a pool or lake under the supervision of a teacher who can gradually lead you through the basics. At Idaho State University we use a combination of approaches. We have a series of formal skills classes that people can take. Then once they learn their basic skills, lots of common adventure trips are offered in which people can actually use those skills. What about kids. Can kids do common adventure trips? Not really. 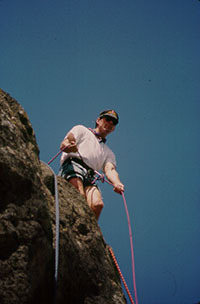 common adventure trips are for college age individuals and older. Children need the guidance of adult leaders. Some of the concepts of common adventure trips can be used on trips for children: pre-trip meetings, getting input from the kids while on the trip, having the children assume responsibilities. But when it comes to the trip, it's important to have adult supervision to keep things safe.